On April 21, 2017, Asia Law Portal broke the news that NewLaw firm lexvoco has entered the Japanese market. With the permission of John Grimley, a regular contributor to Dialogue, I am pleased to publish the essence of this important news. NewLaw firm lexvoco, which is based in Australia and which also operates in New Zealand, has begun operations in Japan. Lexvoco is the first NewLaw secondment business to do so. Japan has the world’s third largest economy with a GDP or 4.41 Trillion USD. Law firms account for an estimated 0.1 percent of Japanese GDP, according to the Ministry of Economy, Trade and Industry. Graham Anderson, a capital markets attorney with 20 years’ Asia-Pacific region experience — will lead Lexvoco’s Japan efforts. 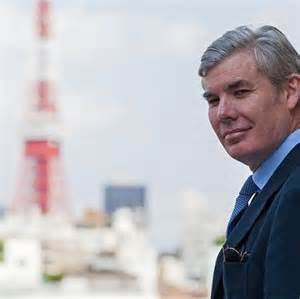 Anderson previously lived in Tokyo for 10 years where he worked for Japan’s largest law firm, Nishimura & Asahi, its oldest international law firm, Blakemore & Mitsuki, as head of the Corporate Counsel Asia group at Lehman Brothers, and as a Tax Associate at PwC. In addition to seconding in-house lawyers to the general counsel’s office — lexvoco also has a consulting and technology division, which advises on strategy, continuous legal team improvement, and software development. lexvoco is the first secondment-model NewLaw firm in Asia to open in Japan (Bengo4.com – a NewLaw style B2C lawyer-client matching site has been operating there for some time) — what is both attractive and uniquely challenging about the Japan market for lexvoco? Japan is an attractive market, as corporates are very familiar with working with contractors. As a major trading partner of Australia, there are deep economic and social links between the two countries. A unique challenge is that Japanese companies are not yet accustomed to using flexible legal services and legal process continuous improvement. Will Lexvoco’s focus in Japan be primarily in seeking to second lawyers into the general counsel’s office of major Japanese corporations – or will there be a broader focus? lexvoco intends to offer its full range of services. Uniquely, we have a strong consulting and technology practice. Our consulting practice draws heavily on Lean Six Sigma methodologies, which we believe will be attractive to Japanese companies due to the shared history such methodologies have with Japan’s own kaizen philosophy and practice. You have extensive experience as a lawyer working in Japan — how do you expect the Japanese legal market will respond to lexvoco’s flexible/secondment business model? It’s likely that the globally active companies will be among those most open to the lexvoco model. They usually lead the country through the adoption and further refinement of international best practice. Where do you see lexvoco in Japan in 2 years time? 5 years time? Hopefully, we should be fully established well within 2 years. In 5 years we aim to be among the very few NewLaw participants that are actively providing value to a range of clients. John Grimley is the founder and publisher of Asia Law Portal. An earlier version of this post first appeared on Asia Law Portal on April 21, 2017.